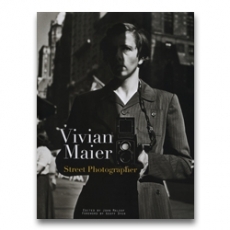 Howard Greenberg Gallery is proud to present the recently discovered work of street photographer, Vivian Maier (1926-2009), from the Maloof Collection. 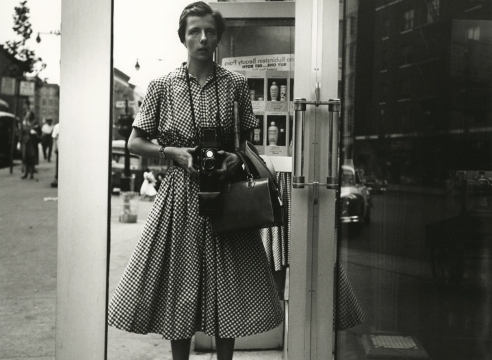 A nanny by trade, Vivian Maier’s street and travel photography was discovered by John Maloof in 2007 at a local auction house in Chicago. Always with a Rolleiflex around her neck, she managed to amass more than 2,000 rolls of films, 3,000 prints and more than 100,000 negative which were shared with virtually no one in her lifetime. Her black and white photographs–mostly from the 50s and 60s–are indelible images of the architecture and street life of Chicago and New York. She rarely took more than one frame of each image and concentrated on children, women, the elderly, and indigent. The breadth of Maier’s work also reveals a series of striking self-portraits as well as prints from her travels to Egypt, Bangkok, Italy, and the American Southwest, among dozens of other international cities.